(Pelham, Alabama) — Whitman Publishing announces the release of the newest book by Q. David Bowers. 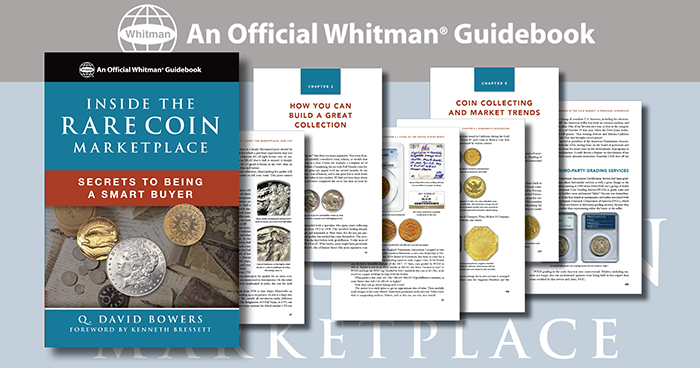 Inside the Rare Coin Marketplace: Secrets to Being a Smart Buyer debuted October 1, 2017. The 320-page full-color volume is available online (including at the website of Whitman Publishing) and in bookstores and hobby shops nationwide for $14.95. Softcover, 6 x 9 inches, 320 pages, full color. Will the book have anything about negotiation methods?